It’s no secret that small and mid-size businesses (SMBs) are the backbone of the U.S. economy. These companies serve a vital role in employing millions of Americans across a spectrum of industries. Contrary to larger counterparts, SMBs are actually gaining momentum. In fact, the SMB space is the strongest growth sector for employment. According to the ADP National Employment Report released in Jan. 2012, small businesses (defined as 1-49 employees) added 95,000 new jobs and medium-sized business (50-499 employees) added 72,000 jobs. Compare those numbers to only 3,000 positions for large companies (499+ employees). SMBs are clearly in growth mode, and assuming a role in the economy once reserved for industry giants. While it is clear jobs with SMBs are prevalent, what remains lacking are the tools and resources which enabled larger companies to be efficient, productive, and, most importantly, profitable. True, many SMBs don’t require the same sophisticated enterprise resource planning or customer relationship management (CRM) systems, but the need for tools, such as a reliable business communications solution, does transcend business size. 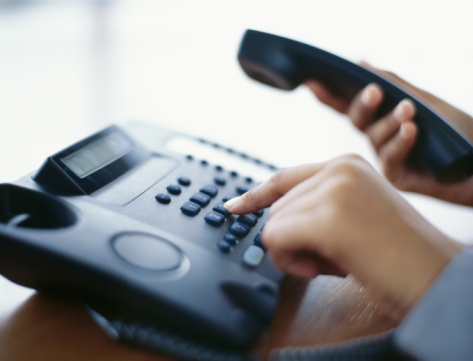 To offer world-class customer service and be as responsive as possible to the needs of clientele, an SMB’s communications solutions must offer more than basic interaction with standard dial tone. Because of the new economic role for SMBs, there is an increasing need to engage a wider variety of customers, partners and vendors. As such, a different mindset and the corresponding resources will be necessary to manage communications. To ensure an SMB is getting the most out of its communications system, it’s important to determine business needs. If a company relies on multiple employees to conduct customer service or sales calls by utilizing the phone for the majority of a day, they are actually working in a contact center environment – albeit a scaled-down, “micro” version. While contact centers, otherwise known as call centers, have typically been the purview of large enterprises with large budgets, virtually limitless resources, and hundreds or thousands of employees, times are changing. New technology has leveled the playing field so SMBs can benefit from the same rich contact center features without exorbitant expense. The advent of cloud computing has made enterprise-class delivery of business communications solutions possible. Voice over Internet Protocol (VoIP) and Unified Communications (UC) systems can now be delivered through the cloud and made affordable for virtually any size business. Best of all, these solutions can be budgeted as a routine operational expense, rather than a large capital investment. A VoIP and UC deployment can replace antiquated legacy phone systems while offering far more advanced features. While the cloud can seem like a nebulous concept, it quite simply means the delivery of computing power from a centralized location. Instead of a network of servers onsite, and the accompanying cost, cloud computing allows companies to utilize this processing power remotely. Further savings are generated because IT staff and/ or engineers aren’t required to manage the system. Best of all, Fortune-500 grade VoIP, UC and contact center capabilities can be accessed without the cost or complexity – definitely a “win-win” scenario for SMBs. VoIP and UC technology can deliver dynamic solutions to the micro contact center environment, combining virtually all communications methods into a single user interface. Users can utilize capabilities like “find me/follow me” which allows them to customize how they are contacted, and by whom. For instance, calls can be programmed to reach desktop phones and mobile phones simultaneously. Basically, all communications channels (voice, messaging, video) are in one place. With UC, workers can communicate, and be communicated with, in the most efficient way possible. As a result, productivity can dramatically improve, benefitting the employee, customers and the organization as a whole. From a management perspective, extensive contact center features can facilitate ongoing measurement and evaluation of a business and its employees. The number of calls per hour, duration, customer escalations, call recording, etc. can be easily tracked to determine high customer service levels. This information can then be used for improved training for a positive impact on customer care, which helps strengthen relationships. In addition, all of this interaction can be documented and fed into a cloud-based CRM application, like Salesforce.com or NetSuite, for even more actionable intelligence. Basically, “plug and play.” By plugging directly into an Ethernet outlet, this mode of delivery doesn’t require any technical expertise to implement or scale. Adding extensions, features or services to the phone system can be as easy as the click of a mouse. This approach combines a traditional, on-premise model with all of the advantages of a pure hosted play to offer the “best of both worlds.” It consists of the server and hardware residing onsite, with service, maintenance and configuration automatically transmitted from the cloud for ease of use. Powerful VoIP, UC and contact center capabilities were once cost prohibitive for SMBs. But, with such remarkable growth in the market segment, these tools and resources are essential to sustain growth, and are now obtainable. By leveraging the cloud in a hosted or hybrid-hosted manner, SMBs can enjoy the same communications tools as large companies to compete like never before.